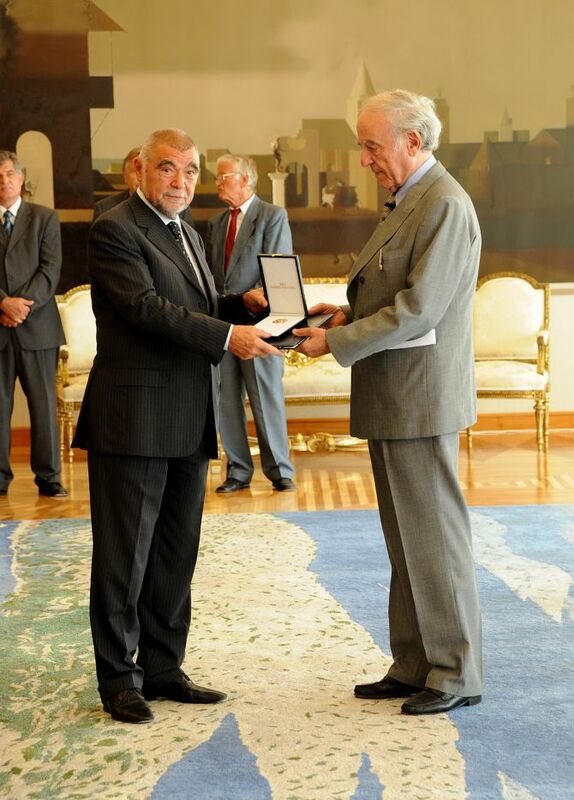 The Government of the Republic of Croatia honored Baruch Tenembaum, founder of the International Raoul Wallenberg Foundation with the ”The Order of the Croatian Star with the Effigy of Katarina Zrinska” for special merits in promoting the moral values of society and for the development of relations between the Republic of Croatia and the Argentine Republic. 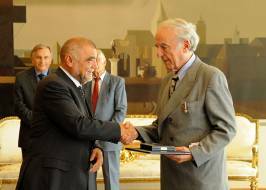 The honor was presented by the President of the Republic of Croatia Mr. Stjepan Mesic in a Ceremony held at the Presidential Palace in Zagreb on September 10, 2008. In his speech, President Mesic said, ”It is a privilege for a head of any state to express recognition and gratitude of a country which he is leading through an award to individuals who have achieved notable, even outstanding, results in the activities they perform. This is a privilege, but a responsibility as well. To select those who truly stand out from thousands, hundreds of thousands, and millions of others who are also active and creative, is no simple task. 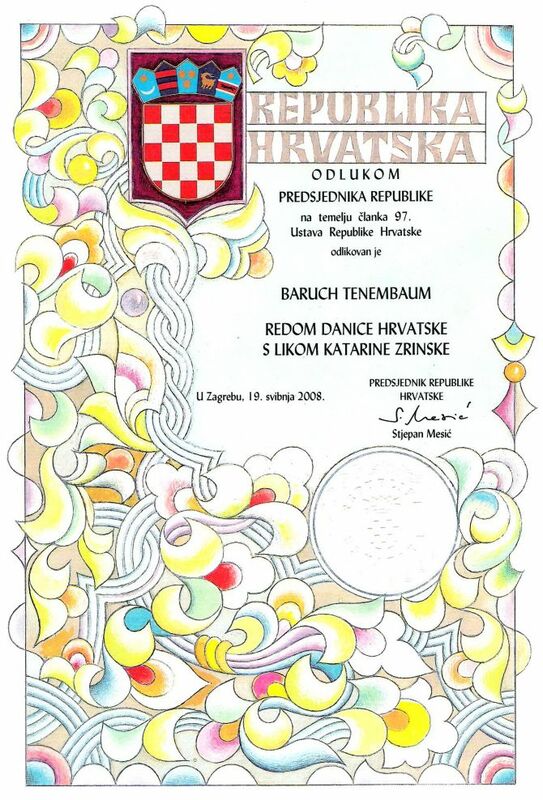 In the case of the individual whom I am presenting with a high Croatian decoration – however – this was not a difficult task at all”. In turn, after receiving the honor Mr. Tenembaum said, ”Dear friends, we celebrate the lives of the Croatian nuns, sister Cecilija and Caritas, both from a Catholic convent in Split. These brave nuns had devoted their lives and their love to humanity and they did show that these feelings transcend religious barriers”. Mr. Domingo Cullen, the Ambassador of Argentina, Mr. Haroldo Valladao, the Ambassador of Brazil, Ms. Mira Martinec, the Ambassador of Croatia to Argentina, as well as the representatives of Croatian Jewish Community were in attendance. During his stay in Croatia, Mr. Tenembaum met with community, educational and religious authority, Cardinal Josip Bozanic Archbishop of Zagreb, Mayor of Zagreb Mr. Milan Bandic and Rabbi Kotel DaDon among others. In July of 2008 the IRWF organized the exhibit ”The Righteous of Croatia” in Argentina which is planned to be presented in different languages and countries. The IRWF is an educational NGO with the mission to disclose the values of solidarity and civic courage represented by the great deeds of the Rescuers of Holocaust. More then one hundred of Heads of States and Nobel Prize laureates are among the Foundation’s Honorary Members.